Rosemarie Cadag lives in Bulacan, Philippines, with her husband Darius and their young daughter. Rosemarie and Darius want the best for their daughter and although she’s just a toddler now, they’re already planning for her education. Meeting local fees will play a large part of ensuring that their daughter will have the best education available. In preparation for this future cost, Rosemarie sells clothing from her home. 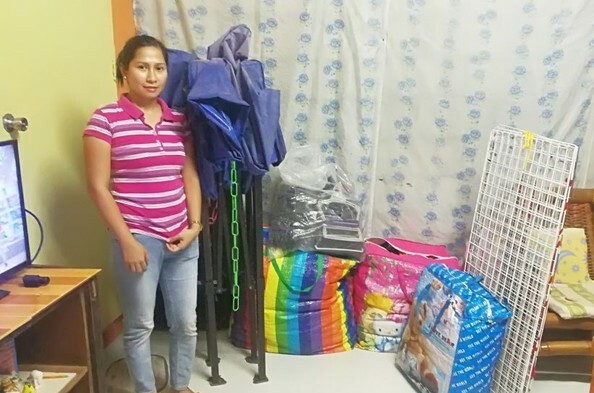 Though successful for her family’s immediate needs, Rosemarie knew that she would need to up her game and grow her business somehow for the future. But with little personal capital to invest in new ideas, she didn’t know how she would make the steps she thought she needed. When Rosemarie learned about the programs offered at Opportunity International, she saw the avenue for growth she was looking for. She received valuable financial training and a small loan to invest in her business. Rosemarie quickly applied her lessons and the funds she received toward more efficient management practices and acquiring more stock to facilitate more orders. Learning so much herself, Rosemarie has noticed she’s become more hardworking than before; she loves applying her new skills to her little enterprise. Rosemarie and Darius hope to continue growing their shop to secure their daughter’s comfort and potential.